Good win by the Vikes. Would have liked to have seen better blocking and not as many wide open 49ers on defense but a win is a win. Really liked what I saw from Richardson, Hughes, and Hunter. It felt like we made that a lot tighter than it should have been. Even so, I liked what I saw from Cousins. Nice TD throws and that pass to David Morgan on 3rd down was sweet. He had one bad pass that should have been picked, but overall I thought he played well. I'm most worried about our D not covering TEs and FBs. They gashed us hard today, bringing back memories of Ertz's performance in Philly. Our OL was bad, as expected, and I hate to think that our season will be defined by their performance. Play calling was disappointing in the 2nd half. 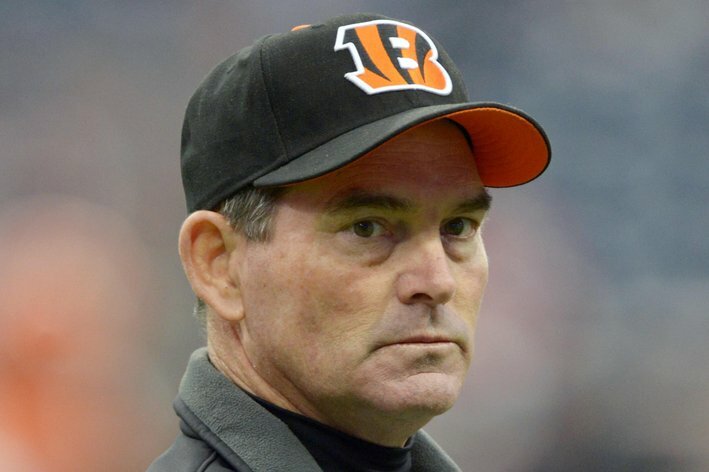 Does Zimmer influence how aggressively his OC's are able to call a game? Or is that on Flip? We got way too conservative today and needed flukey things like the 4th down encroachment flag to help us eke this one out. Good win. Mvp has to go to the entire D. 3 INTs, goal line stance, one TD. Too many long drives given up but I think most of the mistakes can be cleaned up. Cousins looked good in the first half. Good decision making and decisive. 2nd half not so good. Throwing into double coverage, accuracy issues including a well underthrown ball to Thielen. Big Stat for Cousins was zero turnovers. Thought the OL played ok today. No holding or offside penalties. Gave Cousins time most of the night. It helps that Cousins makes quick decisions. Definitely a work in progress though. I think they'll be fine once Elf comes back. Nice to see Richard play lights out in that 3-tech. It was a huge area of need. The secondary did their thing and LBs had moments. Cook looked great in the first half. Nice to see Theilan and Cousin show some part of a connection. I can see the potential in this offense and it can be really, really good. Yikes! What was with the constant first down runs. Especially to the left. It looked like my friends playing Madden. Play calling has to spice it up a bit. We were very predictable and looked to lack urgency in 2nd and 3rd. Compton has no business starting for this team. He gave up pressure at an ungodly clip. Lets call a spade a spade. In this game, we escaped with a win. The offense came to a screeching halt in the 2nd half as we were not able to run the ball at all. I hope all saw how big of a problem the oline is with guys betting our guys all game long. Kirk has proven that there is a significant drop off in his play with pressure. The sad part is that SF is a team that struggles to find a pass rush. Their D-Linemen are run stoppers not pass rushers. If our line plays like it did in the next 4 games, we can count those as losses. Last edited by YikesVikes on Sun Sep 09, 2018 4:40 pm, edited 2 times in total. I thought the Vikings defensive line was impressive. They generally played well against the rush and generated decent pressure. I thought they played disciplined as well. Good start to the season for that group. I thought the linebackers were OK. Generally played well, but I didn't really notice them for the most part except on the one play where Gedeon allowed the fullback to get wide open deep. Secondary was all over the place today, with some solid coverage and nice picks coupled with 49er players (especially that TE) running wide open down the field. Not sure if it was the scheme or what, but they can't keep allowing guys to run free like that. There were times when I felt like I was watching the NFCC game again. Got to clean that up. I also felt like it was pretty obvious that Jimmy G wilted under pressure, and with all of the injuries that started to pile up for the 49er offensive line, I was a little surprised Zimmer and the defense didn't dial more of that up. Jimmy G is pretty good when he can set up and survey the field, but when he felt some heat I thought he was confused and skittish and prone to mistakes. I would have liked to see the defense do more to take advantage of that, but in the end they did enough. The offense was, well, kind of what I expected. Cousins struggled a bit, but also made some nice reads and throws. The offensive line also struggled at times, but wasn't horrible. I think this will all improve as the season goes on, but I'm glad this was a home game. If anything, I was surprised the Vikings didn't go after the 49ers down the field a little more. I guess Cousins took some shots (the pass to Diggs was a beauty), but I don't think they did as much as they could to test the 49ers down the field and put a little more deep pressure on them. This is probably the result of the offensive coaches not having confidence in the offensive line, so I get it, but Cousins is a QB that can get it down there, and even making those attempts loosens things up a lot for the running game. Cook was effective, as was Murray, but there weren't a lot of running lanes for either of them. I was really impressed with Murray. He looked shifty and explosive. Overall decent game. Had the 49ers not jumped offsides late, I don't know what would have happened, but I think this was a good start for the team. They will get a much stiffer test next week in Green Bay, so hopefully this game will give them some confidence heading into next week. He's looking very "Keenum". He threw one bad INT and one other pass that should have been an easy Pick. He started cold, but has gotten better. Sam Bradford is in a nightmare. The Cardinals look horrible. Ha ha, nah, that's just Keenum. He's a gambler. I think that was a major point against him in Zimmer's estimation. Cousins lines up much better with what Zim looks for in a QB. I don't understand why this team is so sluggish about making personnel improvements. They stick with lesser players way too long.